Feb. 7, 2012, 9:30 p.m.
By Adrienne LaFrance @adriennelaf Feb. 7, 2012, 9:30 p.m.
Lauerman referenced that Onion piece in a Tuesday blog post that outlined a simple yet fundamental shift in Salon’s approach: publish less, and focus instead on producing original, high-impact journalism. The value of original reporting might be obvious, but Lauerman says he was shocked how dramatically this new strategy appears to have increased Salon’s traffic in December and January. In an industry that has at times begrudgingly hailed aggregation as essential (even central) to attracting the eyeballs and SEO necessary for journalistic survival, Lauerman found the opposite could also be true. In December and January, Salon published 33 percent fewer posts than it had in those same months the previous years — but it saw 40 percent greater traffic. Slashing the amount of content it published by a third, the site still logged record-high unique visitor numbers — 7.23 million at the end of January — and without any “big viral hits” that would have skewed the numbers, Lauerman said. Getting to this point has been “so organic” that Lauerman says he can’t say exactly where or how it began. He does remember the low-point that preceded Salon’s shift, and it involved — perhaps appropriately — Charlie Sheen and his very public meltdown last winter. In other words, instead of racing to catch up on the same stories as everyone else, why not produce the stories that the aggregators will scramble to reproduce? Of course, not all aggregation is recreated equally. Value added from one news organization can advance a story in a critical way, as well as answer or raise important questions. Looking at the lifespan of a story (or a news organization), aggregation can also be an entry point — one that then naturally leads to original reporting. Salon isn’t abandoning aggregation entirely, but Lauerman can point to instances where he is proud of the decision to pursue boots-on-the-ground reporting instead. He sent reporter Irin Carmon to Mississippi to cover the personhood movement, which argues for a legal definition of life beginning at conception. The fact that readers appear to agree with him is what’s shaping Salon’s identity going forward. In coming months, you can expect to see more resources devoted to Salon’s campaign coverage, new bylines from freelancers who can devote time to in-depth reporting projects, and a site redesign. Internally, the most immediate change — the one already underway — may be a sense of liberation. Lauerman calls the shift “piecemeal” and says it will be largely up to staffers to figure out how they can best contribute to the site’s evolving overarching mission. Salon may be bucking the aggregation trend, but it’s not alone. To take one high-profile example, the viral aggregator Buzzfeed had taken big steps toward producing exclusive content. Charlie Sheen photo by Angela George used under a Creative Commons license. POSTED Feb. 7, 2012, 9:30 p.m.
LaFrance, Adrienne. "What Charlie Sheen taught Salon about being original." Nieman Journalism Lab. Nieman Foundation for Journalism at Harvard, 7 Feb. 2012. Web. 23 Apr. 2019. LaFrance, Adrienne. 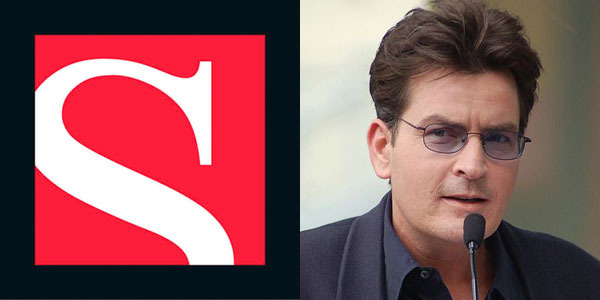 "What Charlie Sheen taught Salon about being original." Nieman Journalism Lab. Last modified February 7, 2012. Accessed April 23, 2019. https://www.niemanlab.org/2012/02/what-charlie-sheen-taught-salon-about-being-original/.